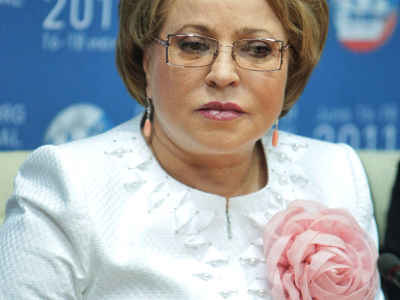 ­After her meeting with the president, Matvienko is planning to run for a seat on one of the city’s municipal councils. The reason is simple: only members of regional legislative bodies or municipal councils can be appointed as representatives of the Federation Council. President Dmitry Medvedev last week supported the initiative of several governors to elect Matvienko, 62, to the head of the upper house. After a meeting with the president on Tuesday, she told journalists that she would have to “go through the electoral process” to be placed on a municipal council. 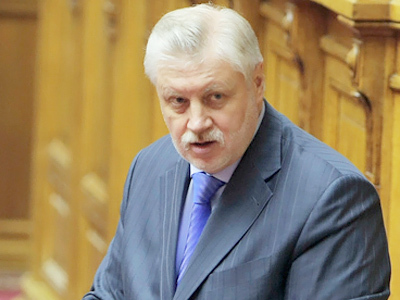 The former upper house speaker, Sergey Mironov, lost this position, the third highest-ranking in the state, when deputies from the St. Petersburg Legislative Assembly recalled him in May of this year “for failing to defend the city’s interests.” The initiative had been put forward by the faction of the ruling United Russia party. 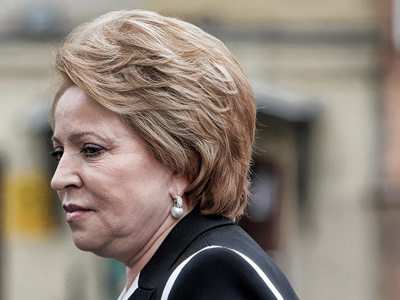 Mironov, who informally heads the Fair Russia party, criticized his rivals for “strangling political competition.” He also said Matvienko had failed to fulfill her duties as governor properly; in particular, she did not provide for the removal of snow and ice during the winter. But, despite complaints from many locals, Matvienko is certain to be elected to a municipal body this summer. A legal option exists to hold polls in one of the municipal councils in the northern capital, she said. The governor added that both the president and Prime Minister Vladimir Putin offered her their support. “I am a team member and have made a decision favoring this proposition,” she said. However, opposition groups are summarily displeased with this scenario. Mironov, who now heads Fair Russia’s faction in the lower house, the State Duma, said on Wednesday that Matvienko would run for a seat on a municipal body just to be appointed to the Federation Council. He described the situation as an attempt to deceive voters. Such a mechanism to promote the governor to the upper house is not fair, because she surely will not work in that municipal body, he stressed. The opposition is now busy forming a united election bloc called “St. 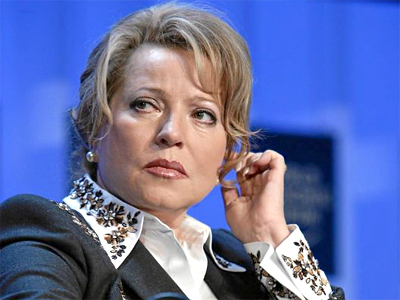 Petersburg against Matvienko.” Oksana Dmitrieva, a State Duma deputy from Fair Russia and head of the party’s branch in St. Pete, announced the news on her Twitter account. The bloc may include her party, as well as the liberal Yabloko party and possibly the Communists. However, some users were skeptical that the Communist Party would join the initiative as its deputies in the local body had voted for recalling Mironov in May. Meanwhile, the youth wing of Yabloko staged a rally on Wednesday to say good-bye to the governor. They carried banners that read “St. Petersburg without Matvienko” and “Only the icicles will miss you.” Police did not disrupt this unauthorized public demonstration. So far it remains unclear which legislative body Matvienko will run for. Representatives of the Central Election commission told RIA Novosti on Wednesday that no elections were scheduled in St. Petersburg for August. The city has 111 local municipalities. 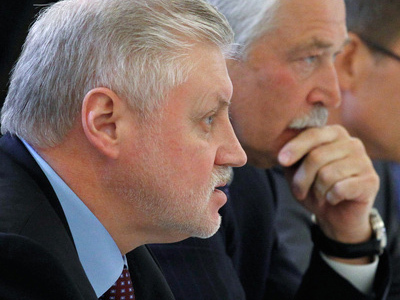 At any rate, Chairman of the St. Petersburg Legislative Assembly Vadim Tyulpanov said that deputies may vote for a new gubernatorial candidate on August 24. He also noted that Matvienko could be appointed as the city’s representative in the upper house either by the new governor or by the legislative branch. If she takes the duties from the Legislative Assembly, her term of power in the Federation Council will be short – December of this year to be exact, as new elections for the local deputy corps are scheduled for that month. Speaking at a meeting with local deputies on Wednesday, Matvienko wished them success in the forthcoming elections and stressed that all her work as the governor has been directed at improving the lives of St. Petersburg’s residents.